your car payment is too high and need to reduce the interest rate and/or car payments. In this blog, we will explore your options if any of the above examples applies to your situation. When a vehicle is repossessed, lenders will sell the vehicle at auction and attempt to recover enough sale proceeds to cover the loan balance that was owed at the time of repossession. However, recovering enough proceeds to cover the balance is rarely the case. The difference between the balance owed at the time of repossession and the sale proceeds recovered by the lender (referred to as a deficiency balance) can become problematic because If the lender cannot recover enough sale proceeds to cover the balance, the lender will sue the debtor for an amount equal to the deficiency balance and obtain a judgment. If this is your situation, this is where filing for bankruptcy can help. Just like credit card balances, medical bills, collections etc., a judgment for a deficiency balance is considered an unsecured debt which can often be discharged in a bankruptcy. Now, the type of bankruptcy you should file depends on other factors, but through a bankruptcy, you should be able to get rid of this debt for deficiency balance just like you would be able to get rid of any credit card debt. 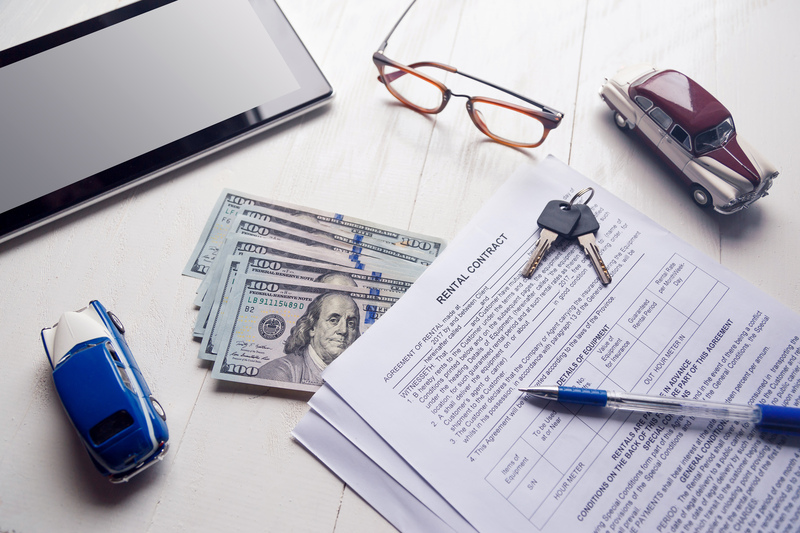 More often than not, when a person has fallen behind on their car payments, the finance company expects a full payment of the arrears in order to avoid a repossession of the car. For obvious reasons, this can be extremely difficult for most. This is where a Chapter 13 bankruptcy can serve as a great tool. A standard Chapter 13 bankruptcy is usually referred to as a “Reorganization Bankruptcy” because it allows the individual or “debtor” to formulate a Chapter 13 Plan where the debtor will pay back some of the debt owed in a 3 to 5-year repayment plan. The debtor makes a monthly plan payment to the Standing Trustee assigned to the bankruptcy case, and the Standing Trustee disburses the payment to the creditors. In a case where a debtor has fallen behind on car payments, the debtor would propose a Chapter 13 plan whereby the debtor continues to make the regular car loan payment outside of the bankruptcy, and a portion of the plan payment would be disbursed to the vehicle financing company to pay for the arrears owed on the car loan. For example, your monthly car payment is $350 a month but you’re behind on three car payments ($1,050). In a Chapter 13 bankruptcy, you would continue to make the regular payment of $350 and the $1,050 would be paid through the Chapter 13 plan spread over a 3 to 5-year period. This will not only help you avoid repossession of the vehicle, but it will also provide a breathing spell from having to pay all of the arrears owed in one single payment. Picture this: You wake up one morning and the car is gone. When the dust settles, you realize that the car was actually repossessed and now the finance company wants a lump sum payment of the payments you are behind. What are your options? Pursuant to Section 542 of the Bankruptcy Code, the debtor may compel the creditor to return possession of the vehicle by filing for bankruptcy. However, they may do so if: i) the creditor has not sold the vehicle to a third party as of the date of the filing for bankruptcy; and ii) the vehicle was being financed and not leased. Assuming that the vehicle is still in the possession of the lender, the bankruptcy attorney would let the lender know of your bankruptcy filing and arrange for the car to be returned to you. When you pick up the vehicle from the repossession yard, you will more than likely have to pay the repossession fees, but this is all that you will be expected to pay at that time. You will then formulate a Chapter 13 Plan as explained above to get caught up with the payments owed on the car. On average, a car’s value decreases by 20% to 30% by the end of the first year and continues to depreciate in value by 15% to 18% each subsequent year. With this in mind, it is not uncommon to owe more on the car loan than what the car is actually worth. This is where a Chapter 13 bankruptcy can help. With the help of a Chapter 13 plan, the debtor can then propose to pay the “value” of the car as of the date of the filing as opposed to paying the full loan balance – this is referred to as a “cram-down”. In order to do this, you would have to have financed the vehicle for more than 2 ½ years or 910 days, and you must pay the value of the vehicle within the timeframe of the Chapter 13 plan (3 to 5 years). Of course, the rate of depreciation varies depending on the vehicle, but if your car depreciates in value faster than others, or if you’ve financed a used vehicle, this can be beneficial to you because you may be able to substantially lower your monthly car payments by only paying the value of the vehicle instead of paying the full loan balance. Finally, if you haven’t had the car for more than 2 ½ years, you may be able to reduce the interest rate to 4% to 6% through a Chapter 13 plan and pay this lowered interest rate for the remaining life of the loan. This is extremely beneficial for subprime borrowers who pay a high interest rate due to their lower credit scores. The purpose of this blog is to shed light and bring some hope to those individuals who have fallen behind on their car payments or have had their vehicle repossessed. If this sounds anything like you, the best thing for you and your peace of mind is to speak with an experience bankruptcy attorney to discuss your options for your particular situation. Give me a call today for a free consultation.